On this Theme Thursday Season Three webcast, Jim Collison, Gallup's Director of Talent Sourcing, and Maika Leibbrandt, Senior Workplace Consultant, talk about Belief with guest Jane Miller, Gallup's COO. If you possess a strong Belief theme, you have certain core values that are enduring. These values vary from one person to another, but ordinarily your Belief theme causes you to be family-oriented, altruistic - even spiritual. And, to value responsibility and high ethics — both in yourself and others. These core values affect your behavior in many ways. They give your life meaning and satisfaction. In your view, success is more than money and prestige. Your values provide direction, guiding you through the temptations and distractions of life toward a consistent set of priorities. This consistency is the foundation for all your relationships. Your friends call you dependable. “I know where you stand,” they say. Belief by itself is really about having certain core values that are not changing. Leaders that have Belief have a close connection with how those values play out in their decision-making. It is so second nature to some that it can be somewhat hard to articulate, however, once you find it you know exactly your mission, purpose and passion. Your followers see stability, predictability and trust because you are consistent in what you see, say and execute. Belief helps you lead by giving you a focus of control. Purposes, causes and values absolutely direct the decisions you make in your life. Belief tends to be about what kind of affect you are making on others. It is about altruism and service. You are driven to do work that you know aligns with your values internally. As an individual, you choose to do things that align with your values; as a leader, you lead with your heart. Belief is foremost about passion. There is an alignment between your personal values and your organizational causes. As leaders you can tap into the purpose that other people bring into work every day. A huge benefit of Belief is to not only be able to speak the language of passion, but to recognize it in others. Belief can bring clarity of purpose to a team or organization. Sometimes this means lowering your tolerance for frivolous benefits. It brings a stable understanding of what is the most important work that your group or organization is doing. To grow this strength, think about communicating this early and often, especially during times of change. Individuals with Belief express a certain attitude of service. This may be expressed on an individual level, or it may mean getting your team involved in the experience of feeling a connection outside their day-to-day tasks. Identify behaviors that send a message of acceptance. Belief can lead to a great clarity of understanding and alignment. You know when your values are being affronted, and so it makes it critical that you can invite other beliefs into the bigger picture. Belief can instill trust by clearly outlining the behaviors that you expect from your followers, as well as those behaviors that will not be tolerated. When you live on a strong foundation of values, and a strong commitment to purpose, then perhaps you have an easier time seeing which behaviors mesh with that, and which don’t. It can provide stability by bringing values into a relationship. Spend some time with those people that share your beliefs, along with those that don’t. Invite that opportunity to talk about where you are both passionate and purposeful. Ensure that you are fighting for something, and loan that passion to others that may need it. Your leadership voice can be powerful when speaking on behalf of causes and purposes you believe in, but may be more beneficial to others rather than yourself. Belief can provide compassion by talking with others about what is most meaningful in their lives. This can lead to changing rules that don’t align with your followers’ purpose. Finally, you can inspire hope by reminding others what is so important about the work they are doing. Practice speaking on your convictions about the change you are going to make in the future. That courage of conviction can be an excellent vehicle for inspiring hope in other people. How do you feel about the Belief Theme in a leadership role? Share your thoughts and experiences on the Called to Coach Facebook page. 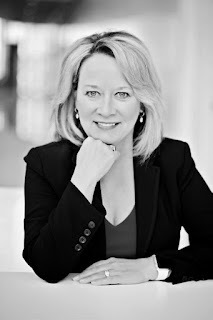 JANE MILLER IS A THOUGHT LEADER in performance management, leadership and organizational identity. She is passionate about maximizing the potential of employees and celebrating and developing talent for the future. Over her career, Jane has helped revolutionize the workplace through a unique and groundbreaking philosophy that emphasizes strengths as the lens through which organizations can select, manage, motivate, develop and ultimately engage employees. Jane is the Chief Operating Officer at Gallup and also serves as a director and an owner. She is responsible for all operational and client service aspects of the forward-thinking research, consulting and education organization. Her leadership team represents the best practices of The Gallup Path, an innovative framework for driving business performance. Jane's top 5 strengths are: Self-Assurance | Individualization | Belief | Focus | Maximizer.